Writer, editor and police officer Sytse S. Algera always loved to read comics and jumped on the opportunity to write for a comics magazine in The Netherlands, when they learned that he was about to visit the USA during the nineties to bring American comic book creators over to Europe for a signing tour. That one article defined his life and shortly after his trip to the USA he was asked to help out with several Dutch comic companies to edit and translate several superheroes and fantasy comics. He managed to write and edit for quite some time, and also made a career in the police force in the Netherlands. In 2009 the editor of Eppo magazine, a well known Dutch comic magazine, asked him to help out with several projects and he met Belgian artist Patrick van Oppen. Together they created the De Vries series, a realistic comic series about a reporter who finds himself torn apart by his love for a scoop and his family in danger. The second book, Vuurdoop, was nominated for the Dutch Stripschapspenning in 2012, the equivalent of the Eisner Award in the USA. Currently the third book is in production with a 2013 release scheduled. Besides De Vries, he is also the creator of the three part Cell series in which a terrorist cell attacks the Amsterdam Airport in a spectacular way. Polish artist Przemyslaw Klosin’s is bringing his unique art as well as coloring skills to a story that risies above the regular comics by it’s theme as well as its realistic portrayal of Dutch politics. The main character, a young Maroccan boy, chased by the police, in a country, where a racist politician is using the nationalism of the Dutch people for his own agenda, is not the avarage hero type usually seen in comics. With Indonesian artist Apriyadi Kusbiantoro, he did the short story Close Call and this collaboration opened the doors of many European publishers with their ongoing Untold Tales of Lemuria series. This scifi fantasy series which is set in the long lost continent of Lemuria, tells an action packed story and amazing painted art by Apriyadi which resembles the classic artists such as Frank Hampson and Don Lawrence. 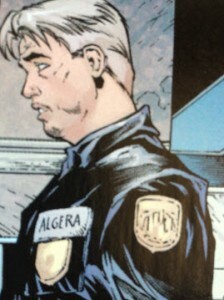 In 2012 Sytse S. Algera received the golden opportunity to combine his love for comics with his work in the police. He was asked to create a comic story about every day police work in a very realistic way. Together with his artist on De Vries, the Belgian artist Patrick van Oppen, he created 24/7, a series of two rookie police officers learning the job in the streets of the city of The Hague. 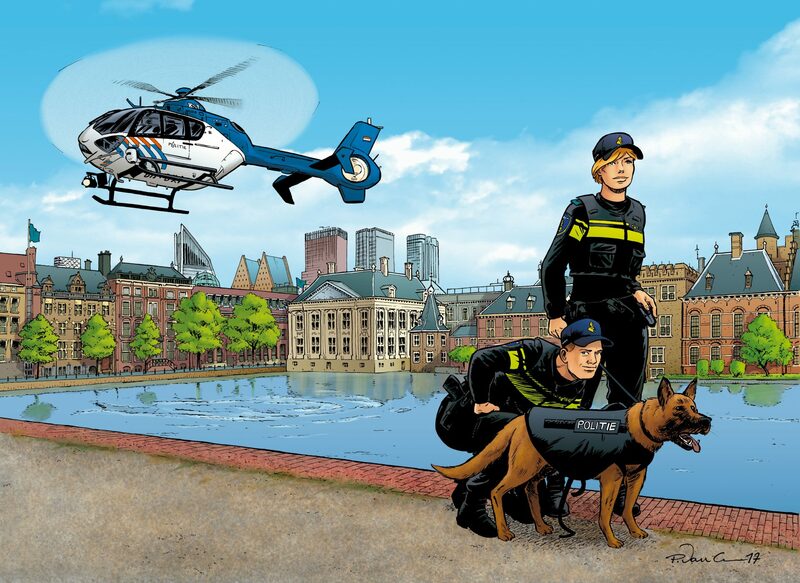 This comic is being published in the monthly national police magazine that is read by every police officer in the Netherlands. The comic is critically acclaimed by police officers, their management as well as other professionals in the safety community for its realistic as well as daring approach to the high number of challenges the local police is facing on a daily basis. His stories are currently being published in Holland, Belgium, Spain, Germany, Switzerland and Austria. He lives in the Netherlands where he, when he’s not writing comics, currently works in an advisory position for the Minister of Safety and Justice and still patrols the streets with his fellow officers, several days a month. After all, real police stories are not found behind desks, they are up for grabs in peoples real life, usually in the streets in one of the cities of the Netherlands.